For the women of Julongan village in Kiangan, Ifugao, the weave goes beyond cultural practice. Their handloom woven bags, clothes, and modern accessories are powerful icons that represent both their heritage and their future—a craft passed through generations, creating a sustainable livelihood for their community. Kandama has 2 weaving centers situated in Julongan Village. 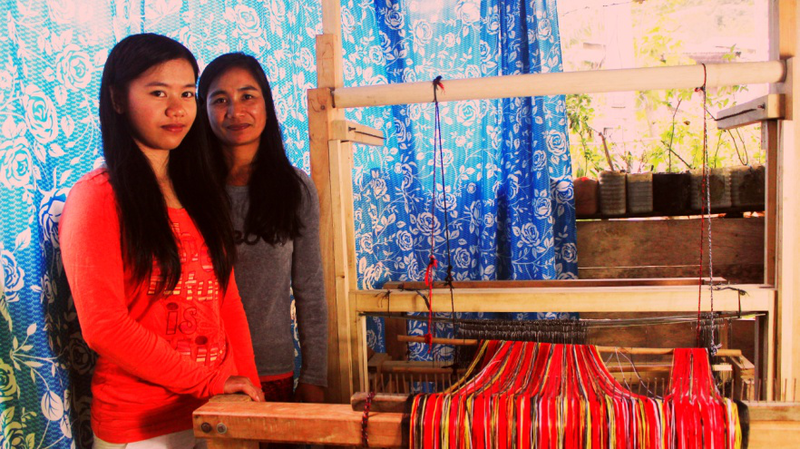 These weaving centers support the livelihood of 28 Ifugao women. 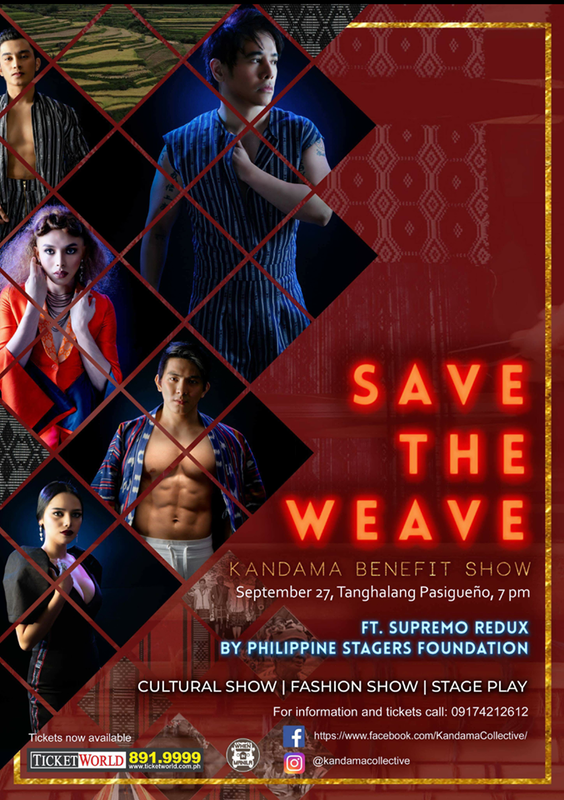 Kandama, a social enterprise inspiring creative synergy among master weavers, designers, and artists brings the power of the weave to life with SAVE THE WEAVE: A Kandama Benefit Show on September 27, 2018 at Tanghalang Pasigueño. Now on its second year, Kandama has partnered with Philippine Stagers Foundation to bring you an event highlighting Filipino heritage and talent. Featuring cultural performances by Indigenous Peoples from Ifugao, a fashion show showcasing woven fabrics by master weavers, and a groundbreaking theater performance of Supremo Redux--a modern musical about the life of Andres Bonifacio. A night of celebration, cultural conservation, and craft empowerment awaits at SAVE THE WEAVE. Tickets are on sale for PHP 1,200 and can be purchased via Ticketworld. The show starts at 7:00PM. SAVE THE WEAVE aims to raise funds and awareness towards Kandama’s mission: to preserve the tradition of handloom weaving , provide economic opportunities to the indigenous women of Julongan, and protect the water shed that sustains the rice terraces, which is a UNESCO Heritage site.